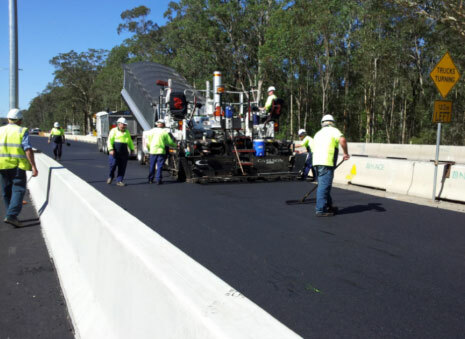 Specialising in roadworks, Nace Civil Engineering has the ability to execute projects varying in size from pavement rehabilitation and the reconstruction of suburban streets through to road and bridge widening or the construction of multi-laned freeways. Nace Civil Engineering’s in-house expertise in pavements paired with the concrete and asphalt production and laying plant production capabilities of the Kypreos Group of Companies ensure a high quality project delivered on time. 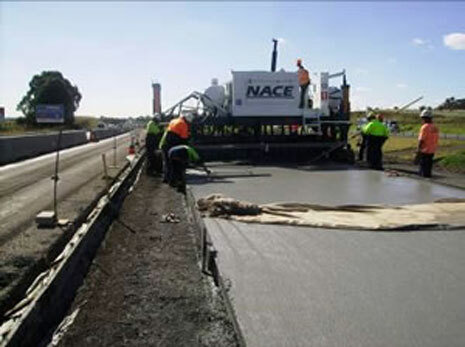 Established as one of Australia’s first concrete paving companies, Nace Civil Engineering has gone on to be involved in the construction of all major motor ways in and around Sydney and throughout NSW, including; the M5, M7 and MR92. 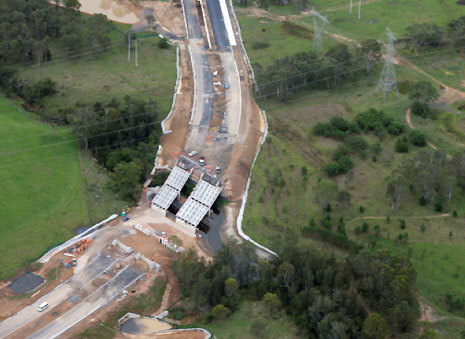 A selection of current and previous Nace Civil Engineering roadworks projects can be found below. 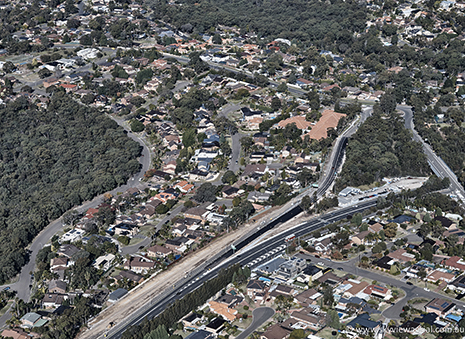 This contract is for making improvements to the intersection of the Princes Highway with Kingsway, Oak Road and Acacia Road, and the intersection of Acacia Road with President Avenue. The project shall improve traffic flow, travel times and safety for all road users, particularly during peak periods..
• Clearing and Grubbing, including the preservation and protection of mature trees and the mulching of cleared trees for the use in the vegetation and landscaping of the project. • Environmental management during construction including erosion and sediment. • Locating and protecting public utility services. • Maintenance of existing roadway as specified. 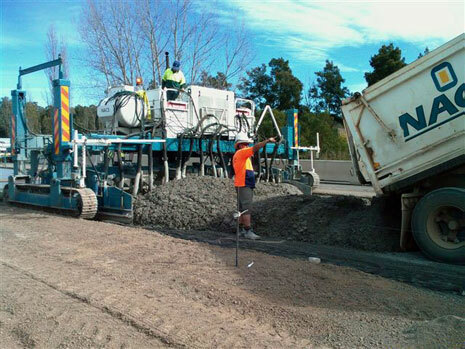 • Flexible and rigid pavement construction, including heavy patching and strengthening and asphalt overlay of the existing pavement and construction of maintenance access roads. • Widening of the existing carriageways to accommodate lengthened right and left turn lanes. 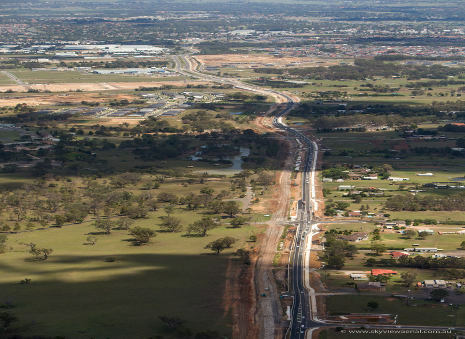 This section of the Princes Highway experiences high traffic volumes and will be constructed in a manner to minimise the disruption to existing traffic (vehicular and pedestrian) and to ensure the safety of the public and workers. As such there will be no lane closures or speed limit changes during day time works. 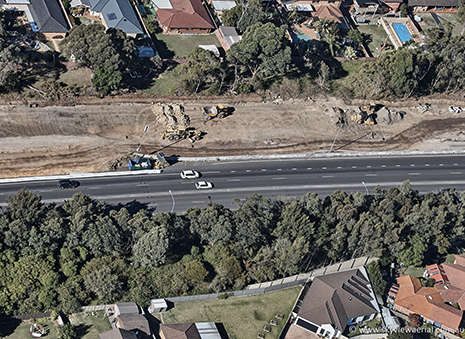 This contract is for the widening of the section of Alfords Point Road, from between Georges River and Brushwood Drive from two lanes to three lanes in each direction. The project shall improve traffic flow to and from Brushwood Drive on and off ramps by using the new lanes. 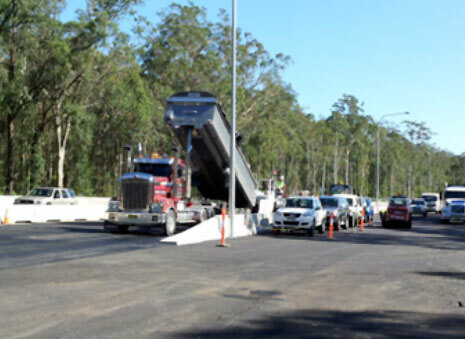 • Construction of a new Heavy Vehicle Inspection Bay adjacent to the southbound carriageway of Alfords Point Road, including new street lighting. • Construction of a new Bus Lane and relocation of the existing Bus Bay on the Brushwood Drive entry ramp. • Construction of new safety barriers to suit the widened alignment, including a central concrete median. 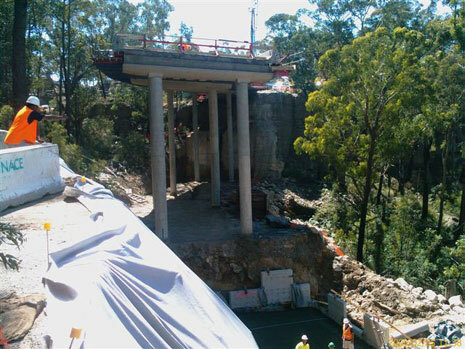 This section of Alfords Point Road experiences high traffic volumes and will need to be constructed in stages to minimise the disruption to existing traffic (vehicular and pedestrian) and to ensure the safety of the public and workers. 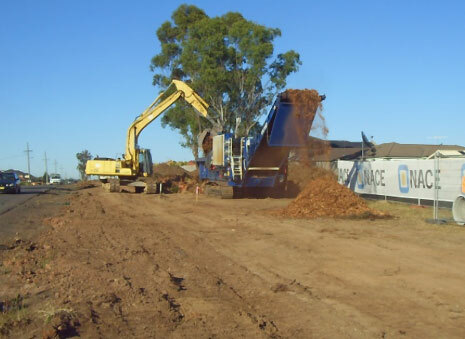 • Undertaking earthworks including clearing and grubbing, removal and stockpiling of topsoil, excavation of cuttings, haulage of spoil material to stockpile for reuse or off site removal as required, placing of general fill and upper zone material, and construction of the Selected Material Zone. • Supply & Installation of approximately 12km Storm water drainage. • Plant in excess of 95,000m² of lean mix sub-base. • Supply & placement in excess of 45,000t of asphalt. This section of Camden Valley Way experiences high traffic volumes and will need to be constructed in stages to minimise the disruption to existing traffic (vehicular and pedestrian) and to ensure the safety of the public and workers. • Mainten provisions for cyclists. 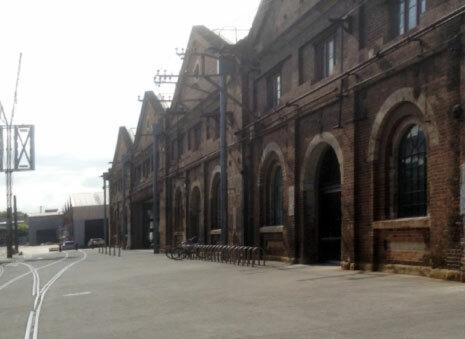 North Eveleigh, Wilson Street, Eveleigh. 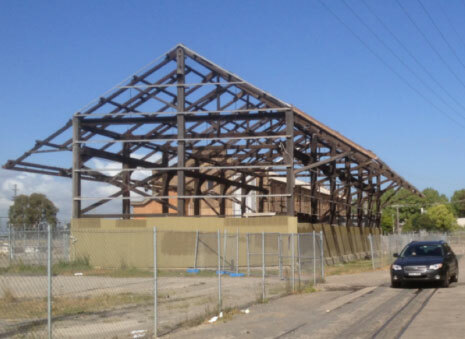 The works comprise of remediation and the construction of Infrastructure Facilitation Works as part of the North Eveleigh Affordable Housing Project. The works involves the construction of a new access road, installation of new and diverted services and associated landscaping works. • Stakeholder interface and approval. • Regular meetings to meet client and stakeholder requirements in a diplomatic manner. 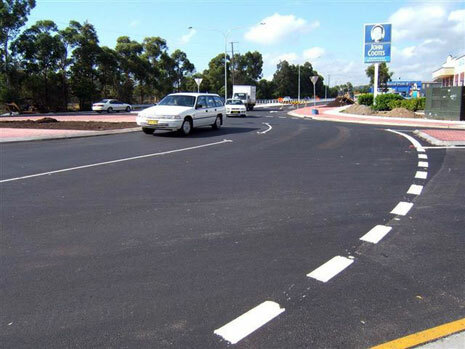 The works under this Contract is for the upgrading of the section of HW30, the Central Coast Highway, from Matcham Road Erina Heights to Ocean View Drive, Wamberal. 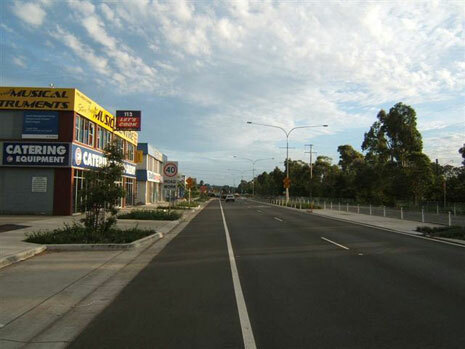 The project involves the reconstruction of a length of approximately 2.1 kilometres of existing two lane single carriageway roadway to dual carriageways with a raised central median of variable width with signalisation of the existing intersection at Willoughby Road and construction of a signalised pedestrian crossing near Ghersi Avenue. 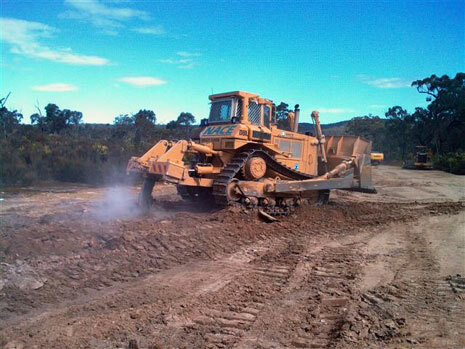 • Earthworks, including the removal and disposal off-site of unsuitable material; the excavation, treatment and placement of earthworks materials and the importation and placement of material for the Selected Material Zone. • Construction of Retaining Walls, including a soil nail wall. • Soft ground treatment including construction of CMC (controlled modulus column) piles, working platform and load transfer mat. • Supply & placement in excess of 15,000t of deep lift asphalt pavement and overlay. This section of the Central Coast Highway experiences high traffic volumes and will need to be constructed in stages to minimise the disruption to existing traffic (vehicular and pedestrian) and to ensure the safety of the public and workers. It will therefore be essential to the success of the project that careful consideration is given to access arrangements as part of traffic management to minimise the disruption to adjacent residents and businesses throughout the duration of construction activities. 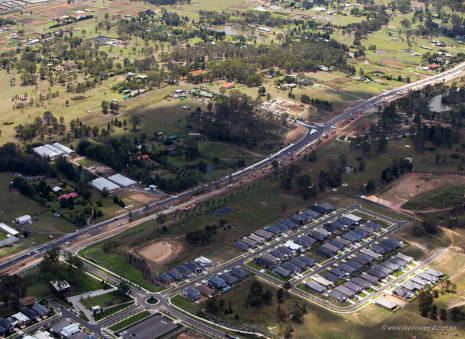 The works comprise the duplication of the Princes Highway at South Nowra with approximate extents between Kinghorne Street and Forest Road. 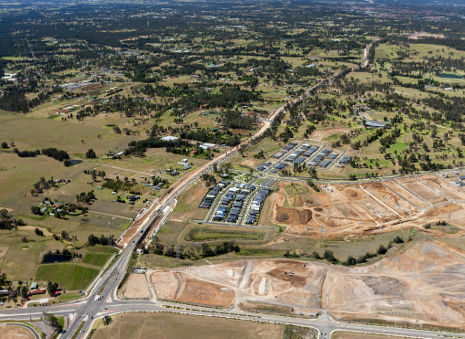 The upgrade involves upgrading 6.3 km of the Princes Highway to four lanes that will improve traffic flow and efficiency through this section of Nowra. • Dual lanes in each direction on the Princes Highway between Kinghorne Street and Forest Road, with a median of varying width. 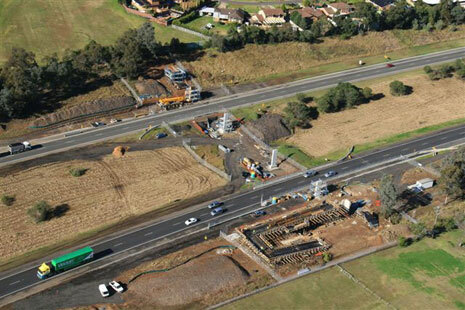 • A new two lane roundabout at the intersection of Warra Warra Road and the Princes Highway. 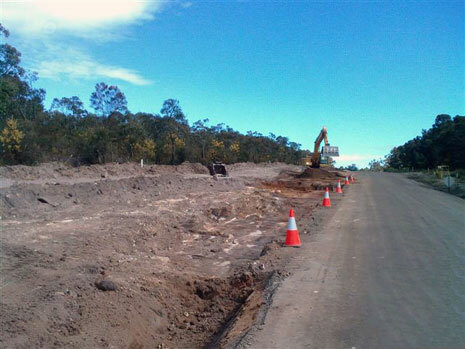 • A third southbound service lane between the Quinns Lane and Warra Warra Road . 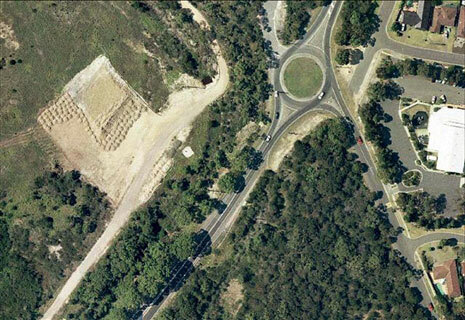 • A new roundabout at the intersection of Hillcrest Avenue and the Princes Highway. • Re-alignment of BTU Road north. 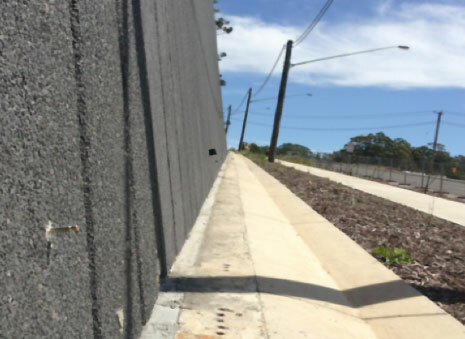 • A 2.5m wide concrete shared path on the eastern side of the highway between Mackay Street and Warra Warra Road. • Construction of multi-cell box culverts. 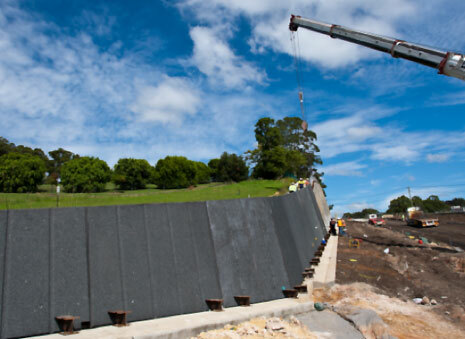 • Supply and installation of in excess of 6.5 km stormwater drainage. 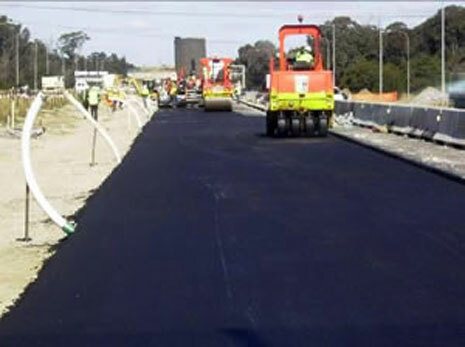 • Supply & placement of in excess of 40,000t of deep lift asphalt pavement and overlay. 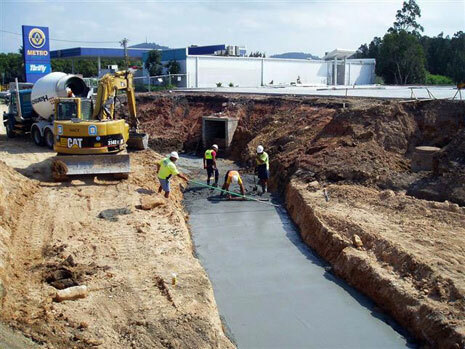 • Placement in excess of 13,000m3 of leanmix subbase. Portable asphalt plant within close proximity to site for better control over the asphalt production & delivery. • Management of the Golden Green frogs - erection of frog fencing. 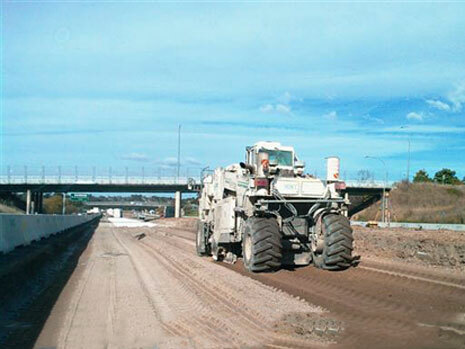 • Traffic was an issue hence shoulder pavement was redesigned to deep lift asphalt. 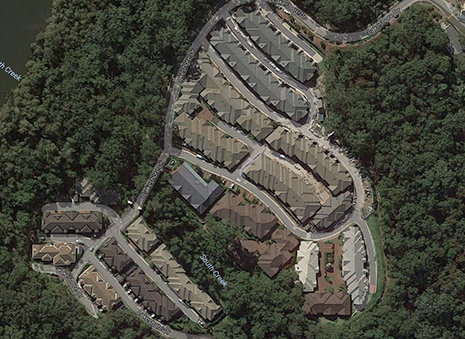 • Drainage conflict was resolved with redesigning of backfill with no fines concrete. 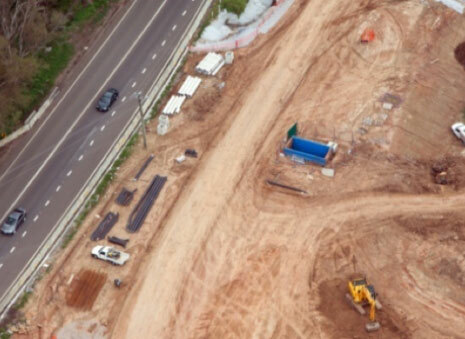 This contract includes the construction of 3.1 km new 4-lane dual carriageway with local road adjustments, and bridgework in the Local Government areas of Penrith and Blacktown. Erosion and Sedimentation Controls and other Environmental Monitoring and Protection works, Earthworks including clearing and grubbing, removal and stockpiling of topsoil, excavation of cuttings, haulage of spoil material to stockpile for reuse or off site as required, placing of general fill and upper zone material. 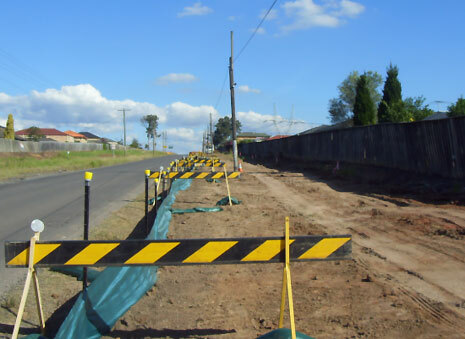 • Removal of existing Fencing and construction of new Boundary Fencing. • 300mm diameter water main. • Supply and installation in excess of 5km storm water pipes. • Supply and placement in excess of 30,000t of deep lift asphalt pavement and overlay. • Design and installation of pits and conduits for an underground Intelligent Transport System (RTA ITS backbone). • Traffic signal conduits and pits for future traffic signals at two (2) intersections. • Twin bridges over Ropes Creek (super T girder bridges on bored piles). The road works will include traffic control, sedimentation and erosion control, survey, earthworks and subsoil drainage, pavement, safety barrier construction and removal, fencing, clearing and grubbing, drainage works, service relocation, lighting installation, traffic signal installation, line marking and signage and the connection to existing road works. The drainage works as part of the road reconstruction includes the extension of the existing culverts and the construction of a new low flow culvert under Erskine Park Road. 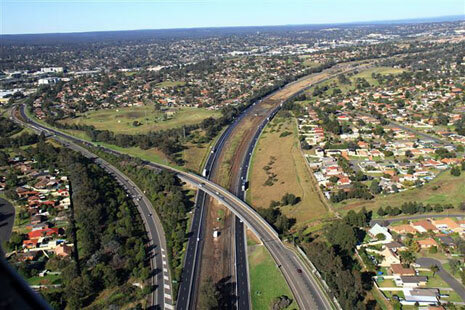 The project is located at the interchange (Tuggerah Interchange) of the F3 Freeway and MR335 Wyong (Cobbs) Road in Mardi. 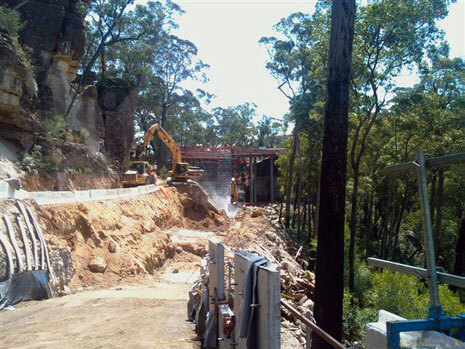 • Construction of a new F3 northbound onload ramp. 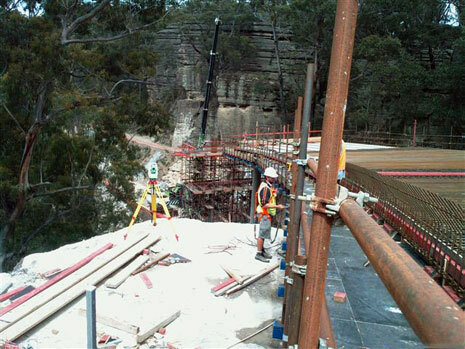 • Construction of traffic control signals at the intersection of the F3 northbound onload ramp, F3 northbound offload ramp and Wyong Road. 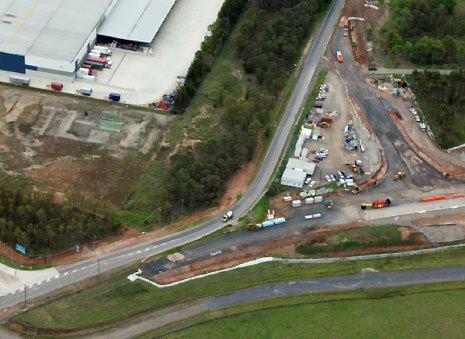 • Construction of a new roundabout at the intersection of the F3 southbound onload ramp, F3 offload ramp and Wyong Road. 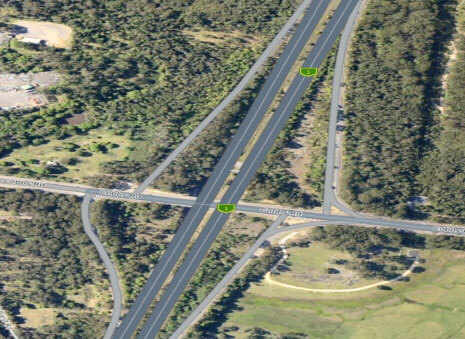 • Realignment of the existing F3 southbound offload ramp to provide a longer merge length for eastbound traffic entering Wyong Road. 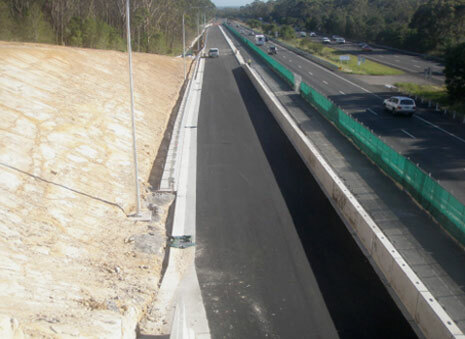 The works at Tuggerah involves the widening of the existing highway to two lanes in each direction, utilising as much of the existing pavement as possible. A footpath with wide shoulder and limited on-road parking is provided along the western (northbound) side, while a two-way cycleway is provided on the eastern (southbound) side. Intersection upgrades include traffic control signals at Anzac and Johnson Roads. 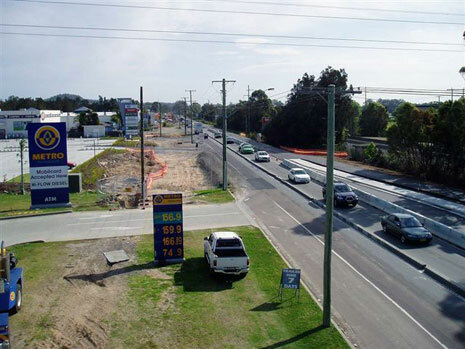 The existing Pacific Highway at Tuggerah has one lane in each direction and is to be reconstructed to cater for two lanes in each direction with turning bays and provide improved intersection controls. In addition the facilities for pedestrians and cyclists will be improved. The limits of the Works are set out in Clause 1.3. 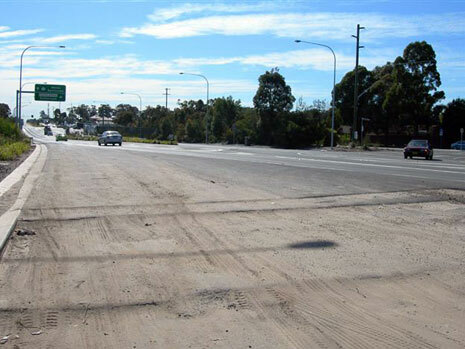 • Strengthening of existing pavement by asphalt overlay on a substantial portion adjacent to the widening works. 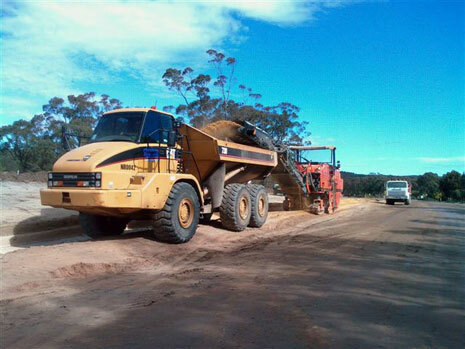 This project involves widening, realignment and sealing of 9 km of existing gravel road 44km west of Hames Road to Nerriga. 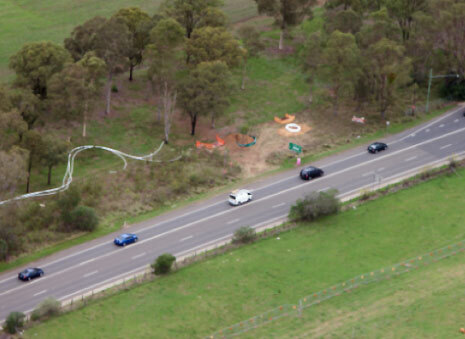 a large fauna underpass designed to allow koalas and other wildlife to cross the road safely just east of the Endrick River. Part of the work is through the western area of Morton National Park. 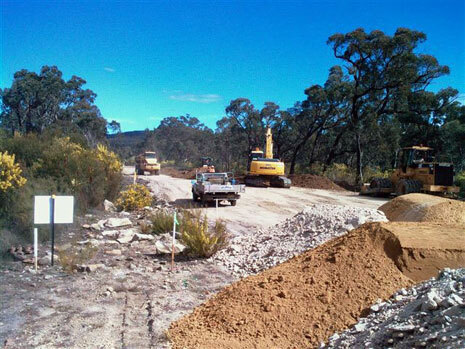 It has remnants of the colonial heritage “Wool Road”, together with several Indigenous heritage sites and threatened flora species that are carefully preserved during construction. 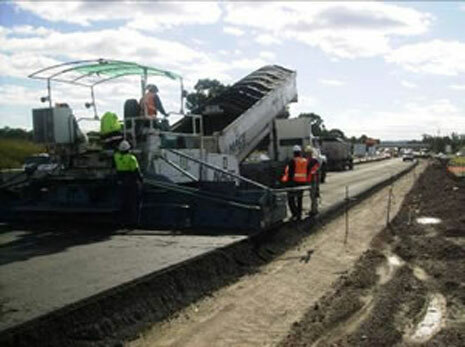 The project involves the widening, realignment and sealing of approximately 21km of existing gravel road from Nowra to Nerriga, (Braidwood44.3 km south west of Hames Road, Nowra, and involves both reconstruction under traffic of existing road formation as well as the construction of new sections of road on improved alignments. 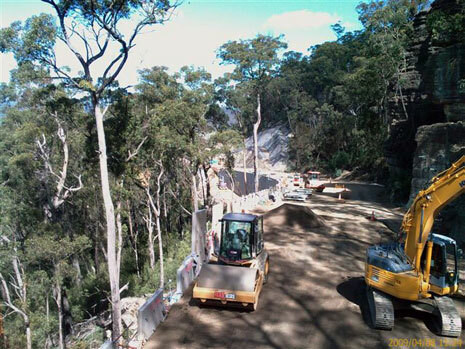 maintenance of MR9244.3 km south west of Hames Road, Nowra for the duration of the Contract. The road passes through Morton National Park and includes the environmentally sensitive Sassafras village area. 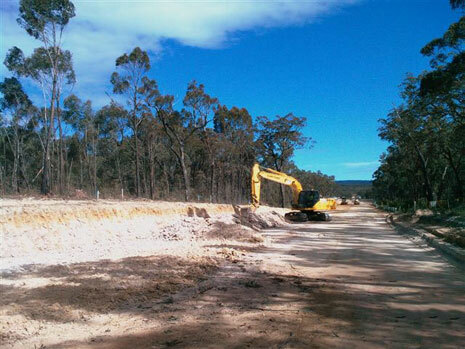 There are also sections of Stage 3 west of Sassafras that are within the Sydney Catchment Authority (SCA) area. 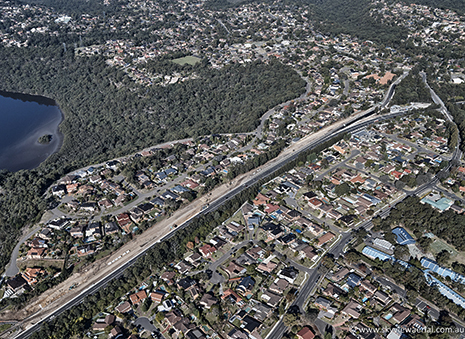 The work to be carried out under the contract involves the construction of approximately 1.4 km of MR190 New Illawarra Road in the Shire of Sutherland, between Marsden Road and Recreation Drive to provide a four lane divided carriageway. • landscaping improvements and noise walls. 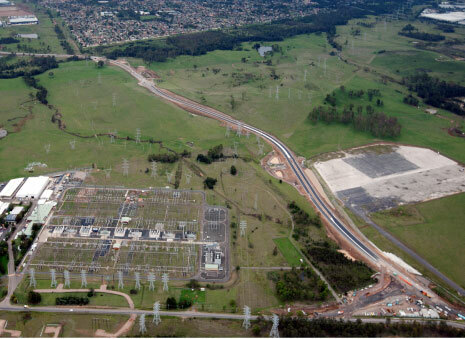 The site of work is approximately 36 km by road south-west of Sydney. The works are to be constructed within and upon an operating road and are to be constructed adjacent to moving traffic. The work area is to be separated from traffic by barriers suitable for adjacent traffic speeds. The Works Under the Contract is to be carried out with the least possible disruption to traffic. • preparation of “work-as-executed” drawings. This Project involved the construction of new pavement and associated earthworks and drainage to provide widened pavement within the central depressed median on the northbound carriageway. The total length of the project is approximately 5.4 km. 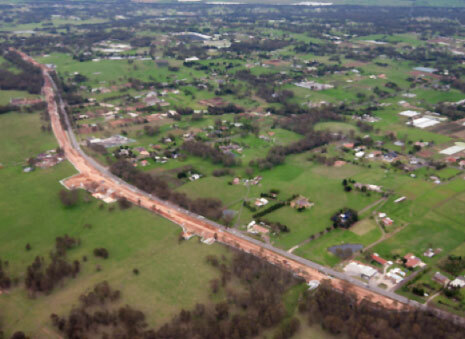 On completion there is four northbound lanes between Camden Valley Way and Brooks Road (Ch 00 to Ch 4020); three northbound lanes south of CH 4020 with two lanes connecting to the M5 and two lanes connecting to the M7 north of Camden Valley Way. • preparation of "works-as-executed" drawings. 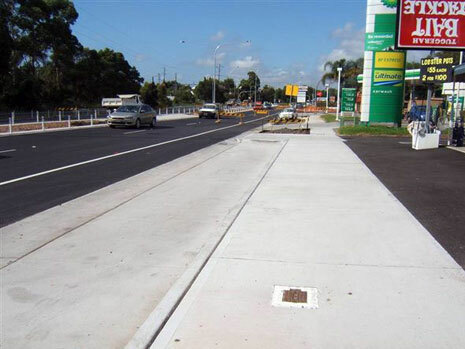 The work at Tuggerah involved the widening of the existing highway to two lanes in each direction, utilising as much of the existing pavement as possible. A footpath with wide shoulder and limited on-road parking was provided along the western (northbound) side, while a two-way cycleway was provided on the eastern (southbound) side. 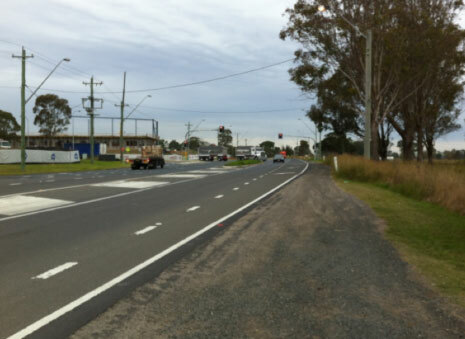 Intersection upgrades included traffic control signals at Anzac Road and a roundabout at Mildon Road. 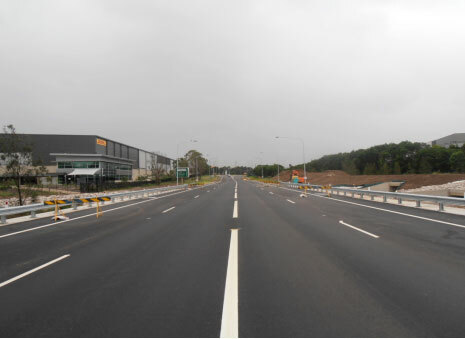 The existing Pacific Highway at Tuggerah had one lane in each direction and was to be reconstructed to cater for two lanes in each direction with turning bays and provide improved intersection controls. 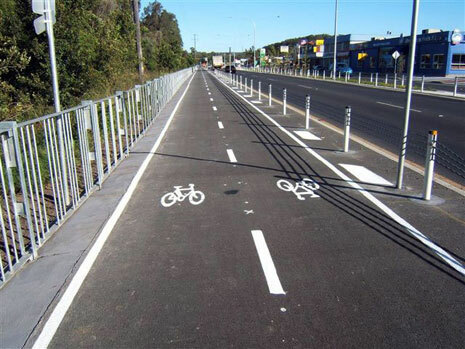 In addition the facilities for pedestrians and cyclists was to be improved. 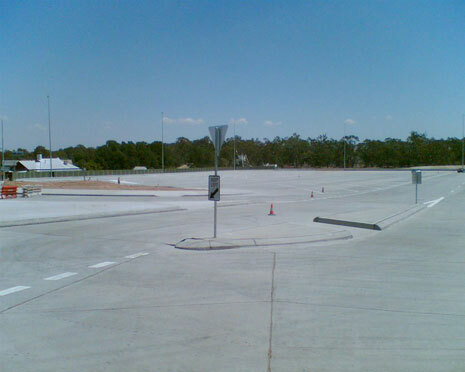 This project involved the complete construction of truck parking facilities at Tarcutta. 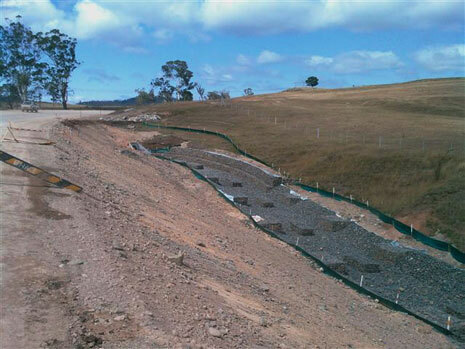 The project involved construction of storm water drainage with a surface area of approximately 35000 M2 in a low lying valley discharging into a newly constructed sediment basin was environmentally protected. 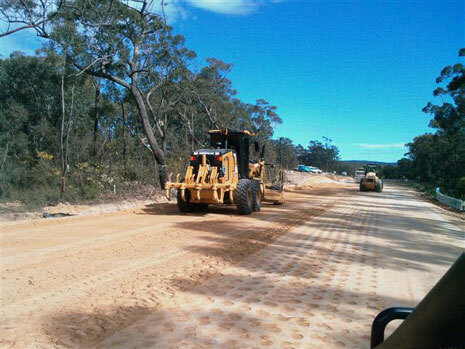 Total earthworks preparation had 10500 m3 of cut to fill and a general fill import balance of approximately 8000m3 to make up of a sound subgrade. 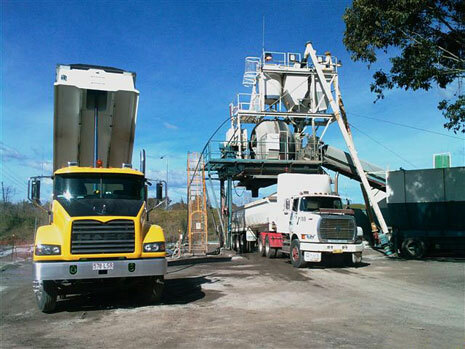 The sub base pavement was of lean mix (Approx 3000 M3) which was batched on site by means of the Kypter Group Portable Concrete Batch Plant set up on site. 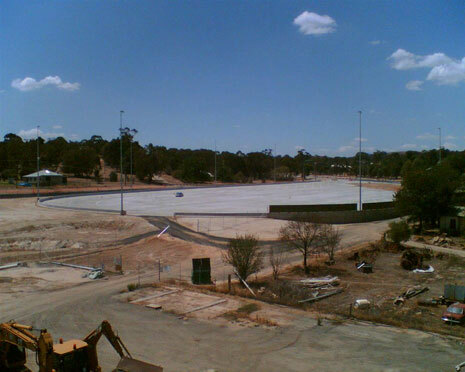 The Base pavement comprised 5000 M3 of 32 MPA jointed concrete base. This was batched on site as well. Both the sub base and base pavement was paved using the Kypter Group GomacoTo fully facilitate a safe operation of the new truck parking facility there was a need to widen and strengthen the existing highway with flexible pavement. 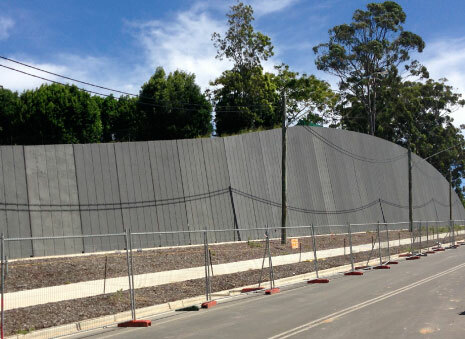 New safety barrier systems was installed against newly constructed 2m high structural walls on either sides of parking bay containing the facility to better the situation noise screens were installed on top of the walls to minimise noise during night change over trucking operations. The whole site required new street lighting system to illuminate the facility at night. This was a complex project comprising a variety of construction activities which has impressed the client whilst dealing with Nace Civil Engineering's.